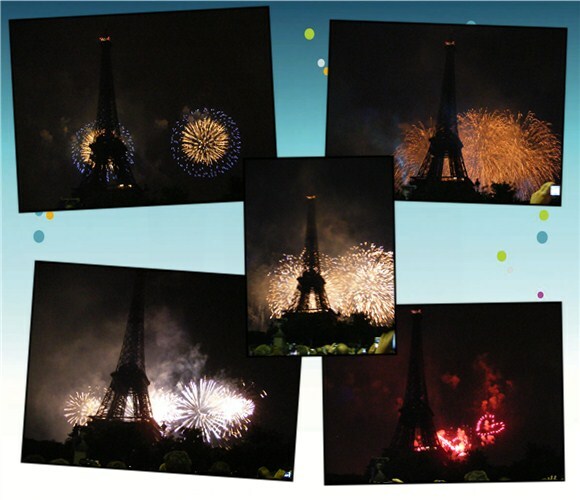 Bastille Day is big in France. They start the festivities on the previous evening already. We only saw a bit of the fireworks from our hotel. Then a big military parade in the morning in the Champs–Élysées . We watched that on television. What was special is that all the planes that were part of the parade came right over our hotel. We could see the planes above us and a few seconds later we would see it on television. 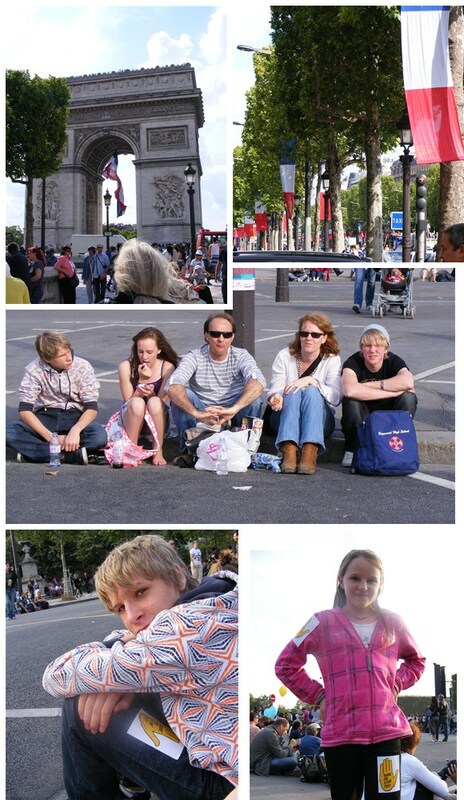 We went in to Paris at three, strolled down Champs–Élysées (with thousands of other people) and made our way to the Eiffel Tower. At 6 the grass area was already filled for the concert. We sat more to the side to still see the fireworks. 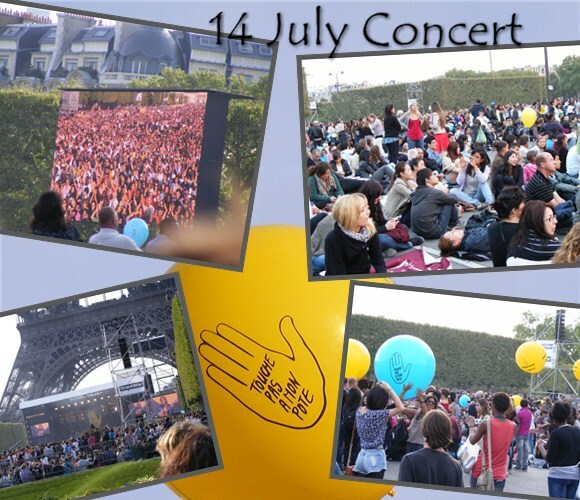 We could see the concert on one of the big screens. Then it was wait and watching people till its dark after ten. By the time the fireworks started we weren’t on the side anymore. Everywhere was filled with people. All the time we thought that all these thousands (or a million or two) of people had to go home by metro or train… When we left just before twelve, that was exactly it. Firstly, the trains were already closed, so everyone went to the metro. The first metro line we got to was closed as well, so we walked to the next line. We probably walked for an hour. The streets were filled with people (and cars trying to get through). The metro was more than full and keeping the family together was the biggest mission. But we were home just after two with a story to tell and knowing that next year… we will watch it on TV.